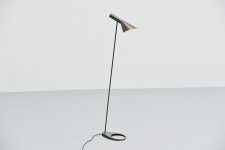 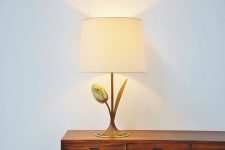 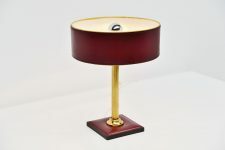 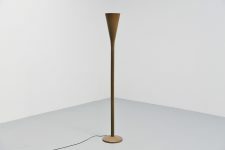 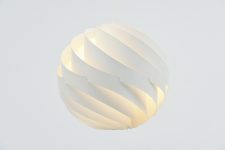 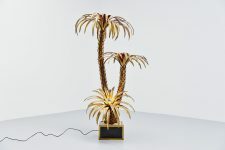 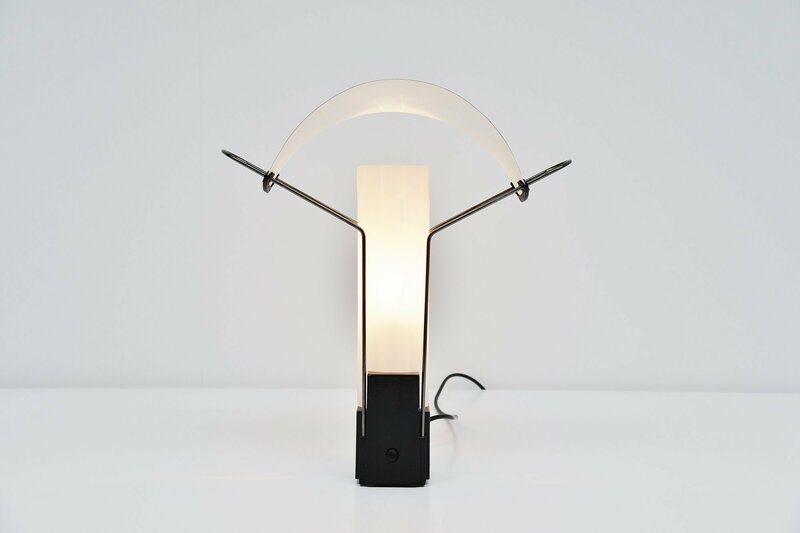 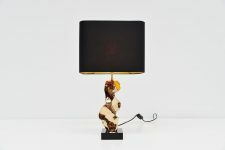 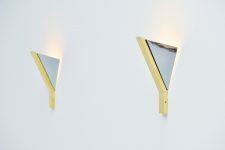 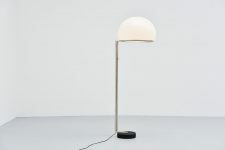 Nice Italian table lamp model Palio designed by Perry A. 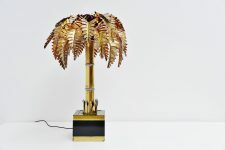 King & Santiago Miranda and manufactured by Arteluce, Italy 1985. 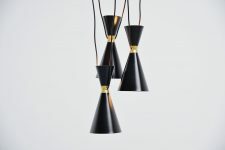 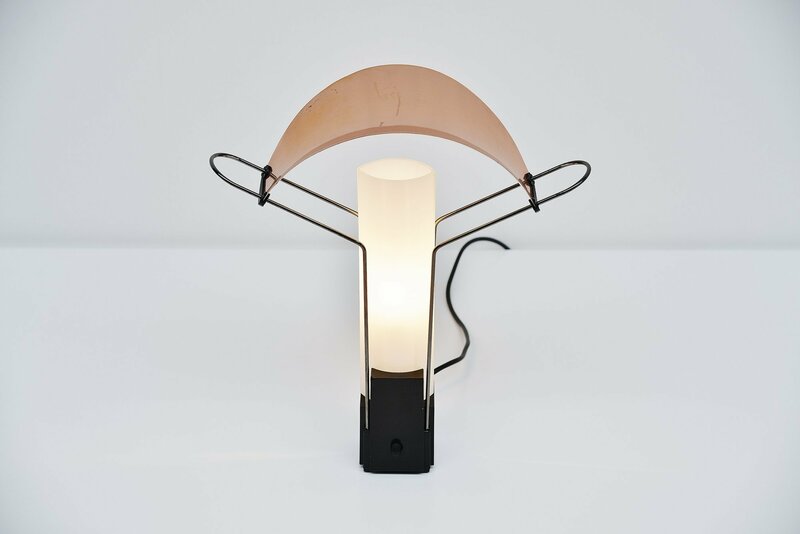 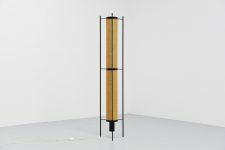 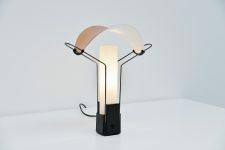 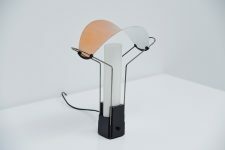 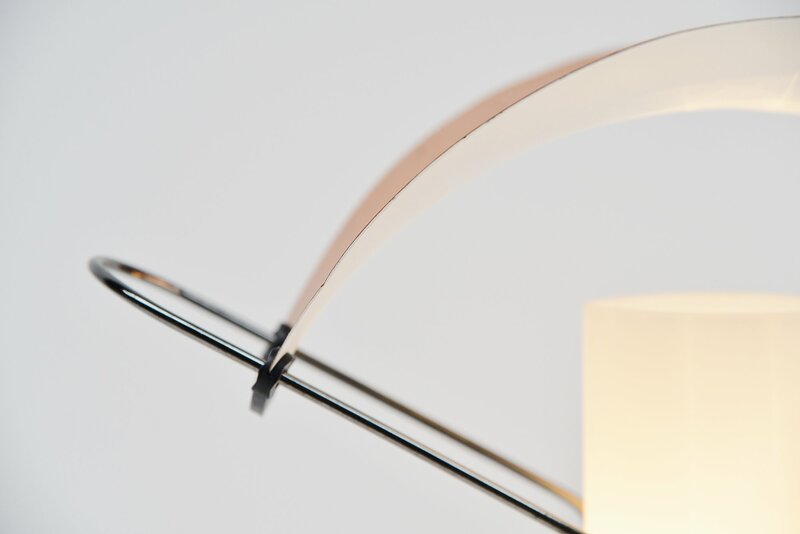 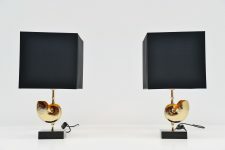 This lamp has a black painted metal base and chrome wires that support the copper shade. 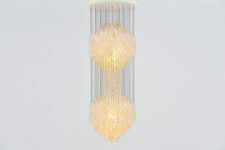 There are 2 opaline glass diffuser shades in the middle. 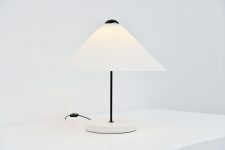 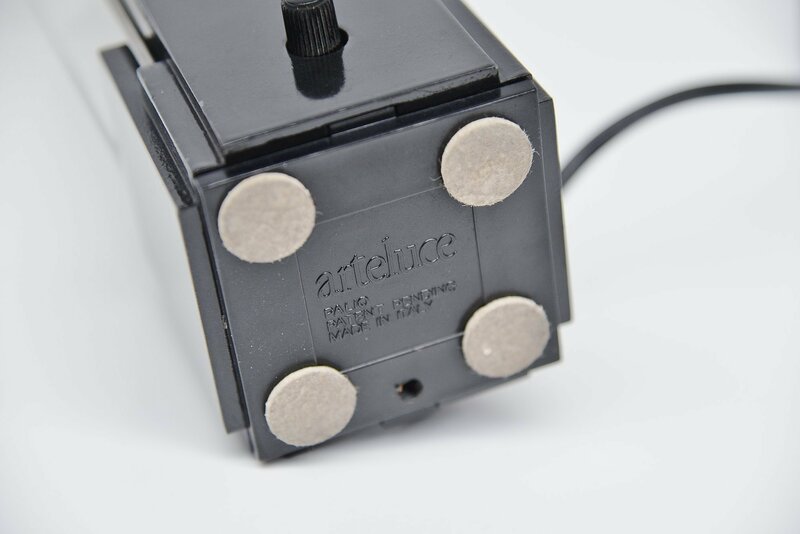 Very nice modern table lamp, marked at the bottom. 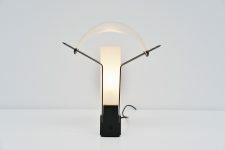 Gives nice warm light when lit.